In 2017 the ICO market was at the peak of popularity. This abbreviation was almost at everyone’s ears. Investors, inspired by such successful projects as Ethereum and Eos, were ready to invest in almost any project. They knew that invested funds in the future could bring instant multiple profits. Since the second half of 2017, there has been a noticeable decrease in the number of successful ICOs, those who managed to collect the amount claimed. The share of ICOs that did not reach their goal increased to 66% in September. 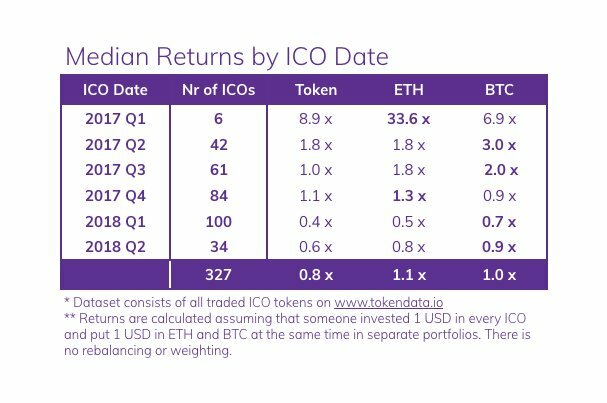 According to ICO Rating in the first half of the year, successful ICO was 50% or more, in summer there were about a third, in autumn it was less than 20%. The boom passed. The market is becoming more mature: teams are more professional, investors are smarter. Now not even all projects can get to the crypto-exchange, and those that can, work very hard to make their currency grow at least to the ICO price. As a rule, until the moment of entering a large stock exchange – it can take several weeks or several months – the price falls by 2-3 times. Seeing that there is no easy earning, people are not so willing to give their money. The market is becoming more professional, there is a clear trend towards regulation since such a surge in the popularity of easy money has attracted the attention of scammers who are looking for an easy way to enrich themselves. Regulators understood this and began to make attempts to restore order to crypto market. So there was a solution to this problem – Security Token Offering or STO. Tokenized securities or Security Token. They give you the right to share in the company. However, companies try to classify their tokens as utility or payment tokens, because if they are identified as security tokens, they will have to follow certain rules set by regulators. The main problem of ICO is that users, buying tokens, think that they become full-fledged investors and have the same rights as traditional investors: control over the management of the company, the right to vote, the share of profits, the preemptive right to newly issued shares. But in fact, the acquisition of a cryptographic token gives only the right to use it as a commodity or a means of payment. To resolve this misunderstanding, the Securities and Exchange Commission (SEC) calls on companies to use security tokens. The key difference between security tokens and utility and payment tokens is that owners of tokenized securities have ownership rights, while utility and payment tokens act as coupons and do not give their owners the rights of traditional investors. It is expected that security tokens and Security Token Offering will be the next trend in cryptography. STO, unlike ICO, never ignores laws and rules; it only removes from the process of intermediaries. Regulations of the crypto market are not designed to destroy the market, but rather to streamline it and reduce the amount of fraud. At the same time, all ICO that sell tokenized securities under the guise of utility tokens will be banned. The issue of the ICO settlement is of concern to many states. As it was said above, the ICO is strictly controlled in the USA. The European concerning ICO has a clear position: the campaign should be conducted in accordance with specific laws. Some countries, such as China or Korea, recognize as illegal all the ICO. Protection of the interests of investors. Among the organizers of the ICO are many scammers who have discovered a source of easy money and are using it to the full. But even conscious start-ups, who sincerely intended to create a useful product, often burn through inexperience. Tens of thousands of investors regularly suffer from them. An attraction of foreign investors. The creation of a favorable legal framework for ICO will create within the regulatory state not only a reliable but also a promising market, to which, naturally, investors will go. Possible creation of a state focused on cryptocurrency. Legalizing the ICO market, the country reports that it is ready to work seriously with them. STO could solve these problems, as some laws are still necessary to protect investors. But there are some drawbacks. For example, a complex registration procedure can scare prospective start-ups and good projects can become significantly less. Since scammers will leave the market and serious developers will not come yet. The process of investment will become more complicated and anonymity will be lost. However, perhaps these disadvantages are not too significant for serious investors. But the efficiency of investment will increase because it is easier and safer to work in a legal market. You can safely invest and are not afraid that the organizers will disappear with them immediately after the end of ICO. Some companies are already ready to play by the new rules and provide investors with reliable and transparent conditions. The Polymath cryptocurrency is a digital token for a platform that wants to create a single platform for trading securities traded on a block. At the moment, most companies want to use blockchain technology in their work, but they can not do it because of the difficulties with the legislation. To solve all these difficulties, Polymath will produce tokens, the functionality of which will be different from the usual ones. POLY tokens will play the role of shares. The protocol will tokenize real-world assets and use Ethereum smart contracts to ensure that investors can only carry out transactions that meet specified requirements, including in the field of identity and anti-money laundering. Swarm Fund creates a unique on the market infrastructure model, which makes possible to invest in real assets and uncover traditional capital in real markets in a new way. Together with infrastructure investors, the fund can create and operate with tokens, which are confirmed by assets and participate in the creation of wealth. This is a blockchain startup, which develops a platform for conducting regulated ICO, whose tokens fall under the definition of securities. The partner of this startup will be the company Liquid M Capital, which has all the necessary permits and licenses to work in the US market with securities. It is assumed that the activities of the platform will fully comply with the current regulatory standards of the United States. Our editorial staff is preparing an interview with the representatives of the German project, who are closest then other came to decision how to resolve and integrate this new system into space.